NOT ALL FISH REPLICAS ARE CREATED EQUAL. 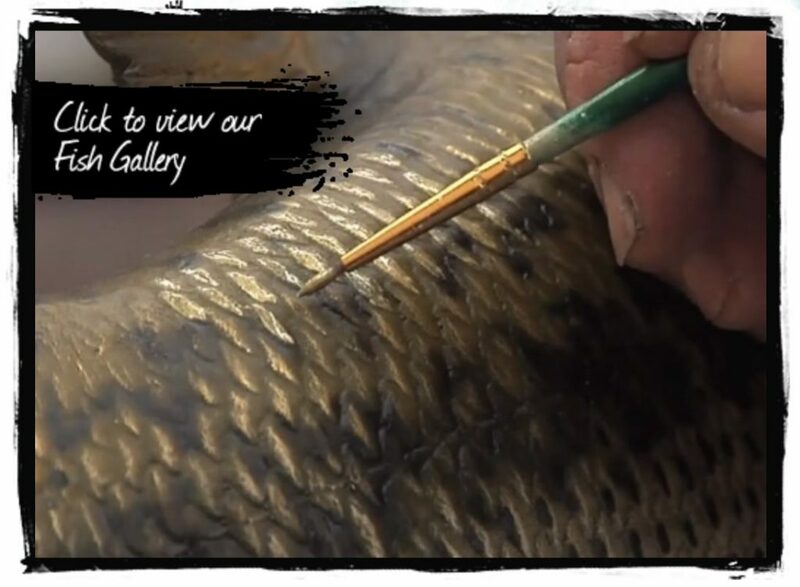 Advanced Taxidermy has been creating high quality fish reproductions for over 25 years. A long standing commitment to production of industry leading fish replicas for fisherman around the world has given Advanced Taxidermy Studios the signification distinction as the global expert in the production of high quality fish mounts. Our fiberglass fish replicas can be found throughout the world in the homes and businesses of our nearly 100,000 clients. Our fish reproductions are made from the most advanced moulds in the industry. Tooled with the precision of master craftsmen, they are painted with true artistic perspective. Working with natural light, the colours of the specimens are duplicated to exact detail. We advise our clients on lighting, types of woods or display ideas that will enhance your office or home. We have experience in making replicas of every fish species. Click below to view samples of some of the species we've worked on.